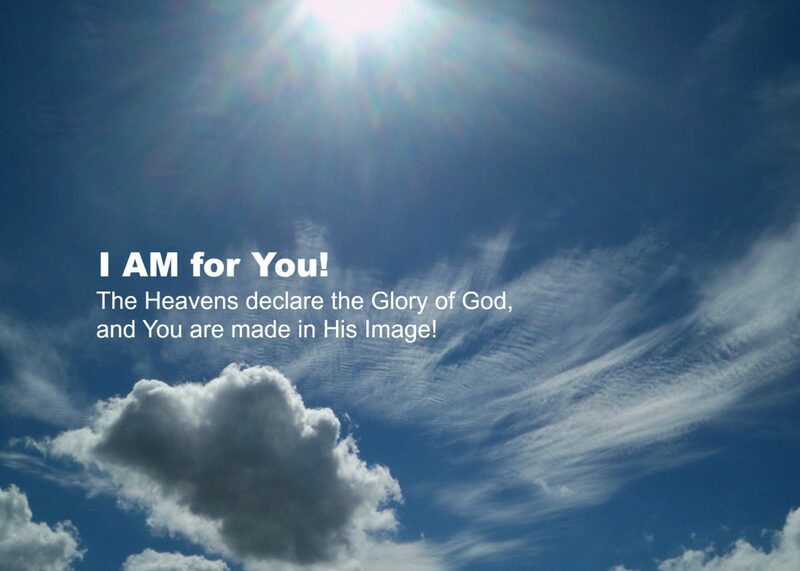 They called him laughter… – I AM for You! When I look at paintings of Jesus, when I watch movies depicting him, many times I see a solemn, dissociated, and melancholy man who doesn’t seem to be engaged in this life. My experience with Jesus is exactly the opposite. He is intimately engaged in my life. He makes jokes to me and makes me laugh. (I know, you think I’m mentally ill). When I lead prayer in groups I sometimes make jokes to Him, to give others the sense that Jesus is a humble, informal, brother of ours. One time an unsaved spouse of someone in our Bible study was giving our group a test run. They said years later, that they were unsure if they would come back until, when I was praying to Jesus, I made a joke to Jesus (to show this person the informal, approachable character of Jesus). He said that hearing me joke to Jesus convinced him to stay in the Bible study. Of course I do not disrespect Jesus. John, in Revelation, fell on the ground frozen, in fear of the holiness of Jesus. When Jesus confronted me with my sinfulness and I rebelled against the truth, against Him, I saw his robes of light from the thighs down, I felt His anger burn, and I was frozen in terror as well. But just like Jesus invented reverance, He invented laughter as well. Babies don’t need lessons in learning to laugh, giggle and smile. We are hard-wired to have fun. But of course laughter and fun are not an end in themselves. Solomon tested laughter and found that laughter as an end in itself is meaningless. The Bible doesn’t mention Jesus’ laughter. So how do I know that the paintings and movies didn’t get the “melancholy Jesus” right? Dr. Charles F. Stanley observed that the little children wanted to be with Jesus. And Jesus wanted to be with the little children. Dr. Stanley said that children are repelled by the solemn, dissociated, and melancholy. They are attracted to laughter, fun and joy. And they were attracted to Jesus. But when Jesus saw this, He was indignant and said to them, “Permit the children to come to Me; do not hinder them; for the kingdom of God belongs to such as these. And He took them in His arms and began blessing them, layinhans on them. He would love to love you in this way. The title may be misleading… or is it? The song with the lyric “They called him laughter” refers to Abraham and Sara calling their newborn son: “Laughter” or Isaac, because the Lord had given the childless couple the gift of their son in their old age. Sara originally laughed when [Jesus] told her she would have a son because she was over 80 years old. She denied laughing because she was afraid. But Jesus took the disbelieving laugh and turned it into a laughter of joy nine months later. Jesus, I believe, is at the root of all good laughter. Previous Previous post: What’s in a phrase?